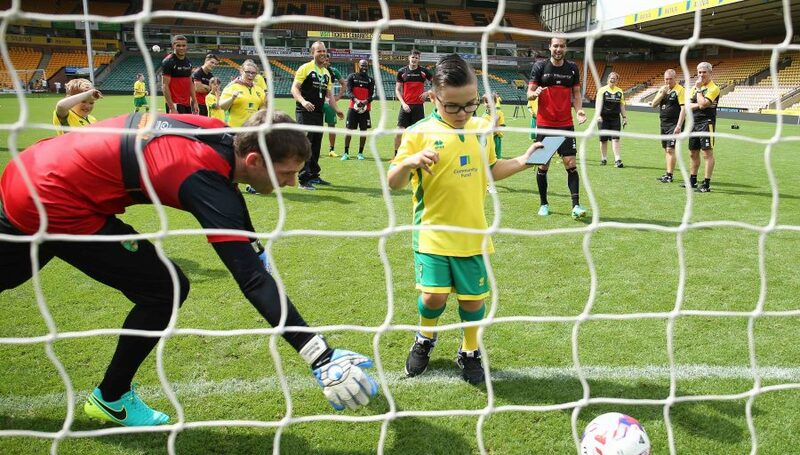 Live out your dream of playing alongside a Canaries legend on Carrow Road’s hallowed turf with the Community Sports Foundation ‘Canary Legend Eleven’ match. Experience the full Norwich City FC game-day experience, with a 11-a-side match at Carrow Road, access to the Players' Lounge and tunnel, plus a game-environment complete with scoreboard, entrance music and many more added extras. The date of this year’s game is Monday 13th May, 2019 (11.30am-5.00pm), and you can book your place in the lineup now. Legend players to be revealed in due course. All funds raised from the game go towards supporting the Community Sports Foundation’s #BuildTheNest campaign. All participants will be required to sign a disclaimer on the day. *Please note, availability of the pitch remains subject to change. Explore all of our programmes, covering themes of disability, health, football, schools, social engagement and education.